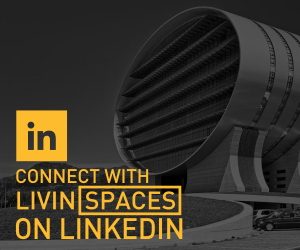 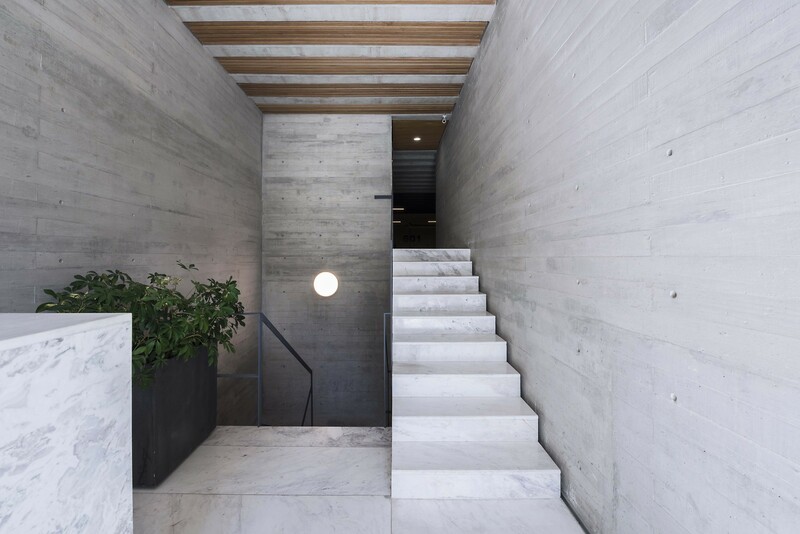 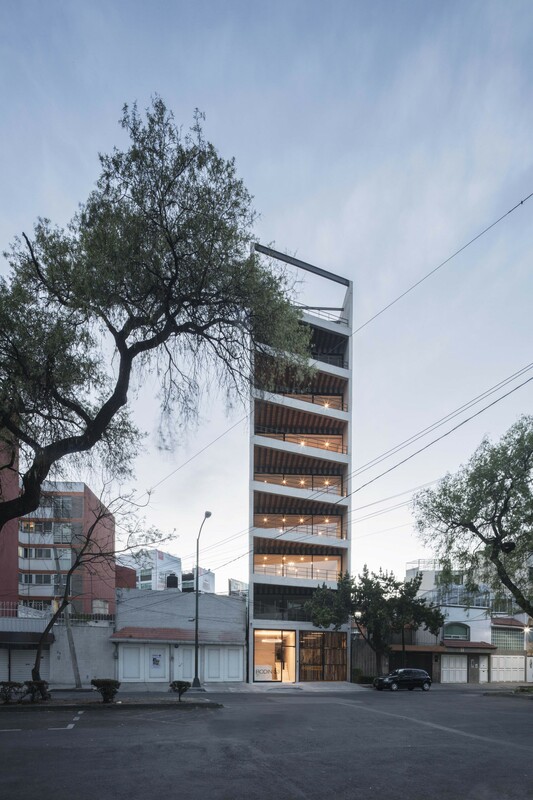 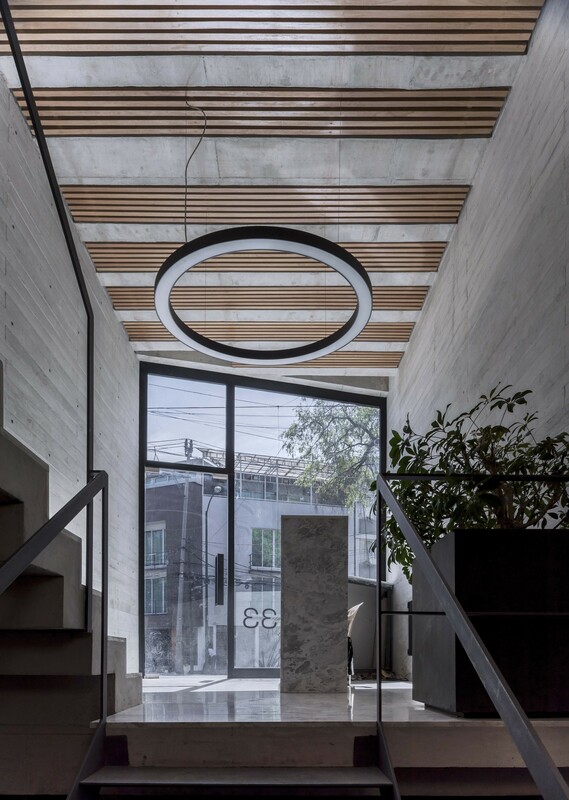 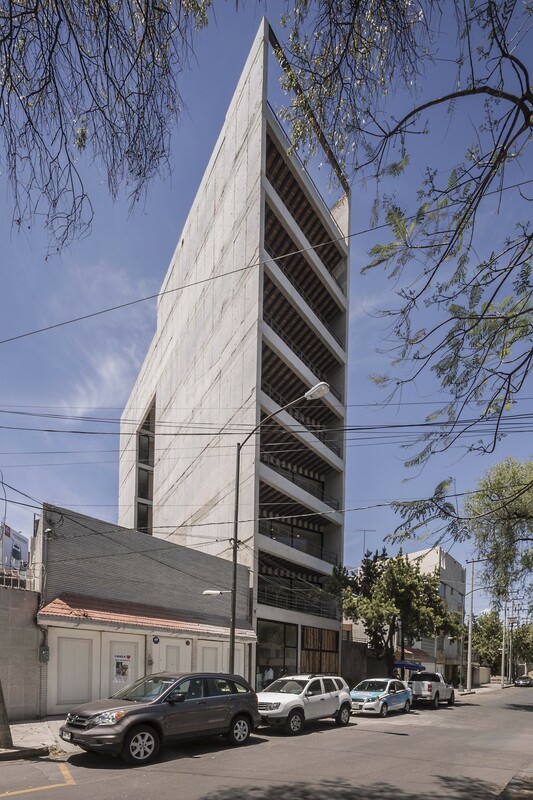 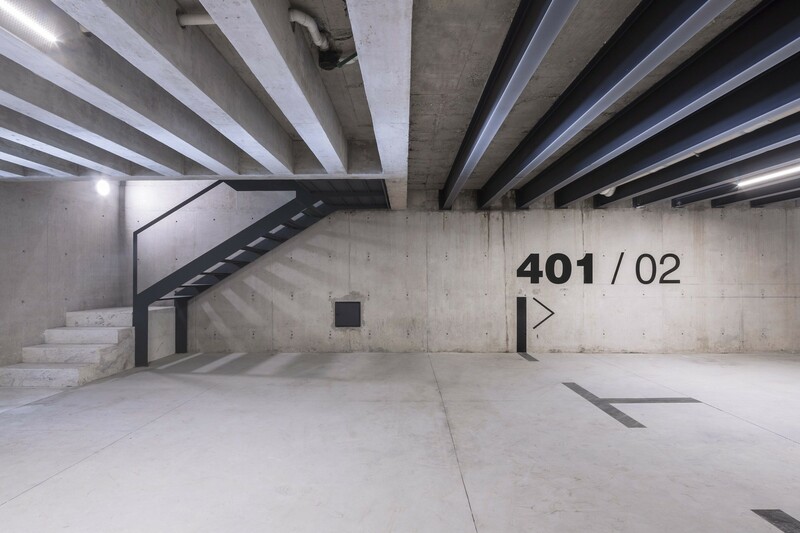 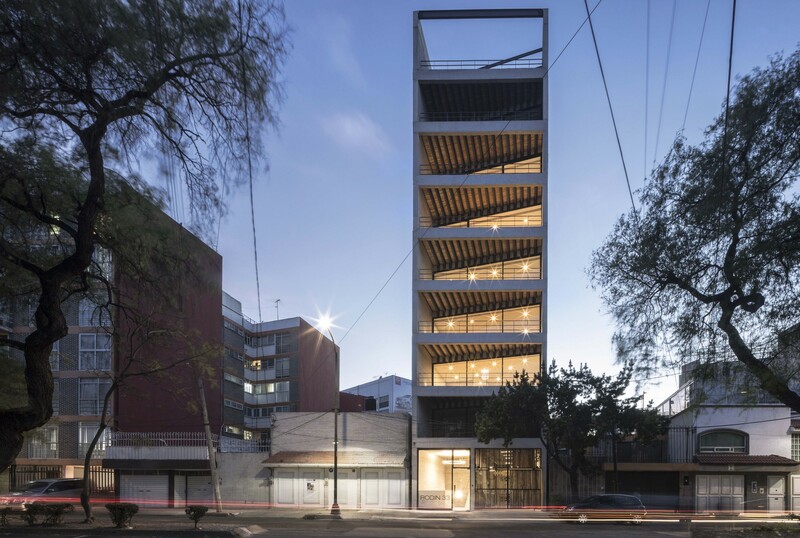 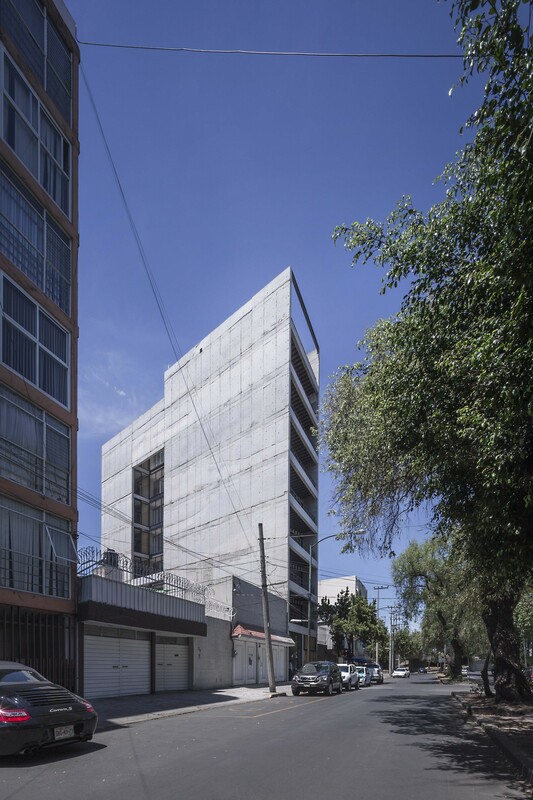 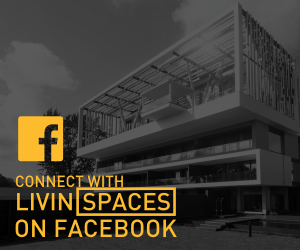 The Rodin 33 apartment building is a contemporary concrete structure located along a street of the same name, on a narrow plot measuring 7.8m wide by 28m long. 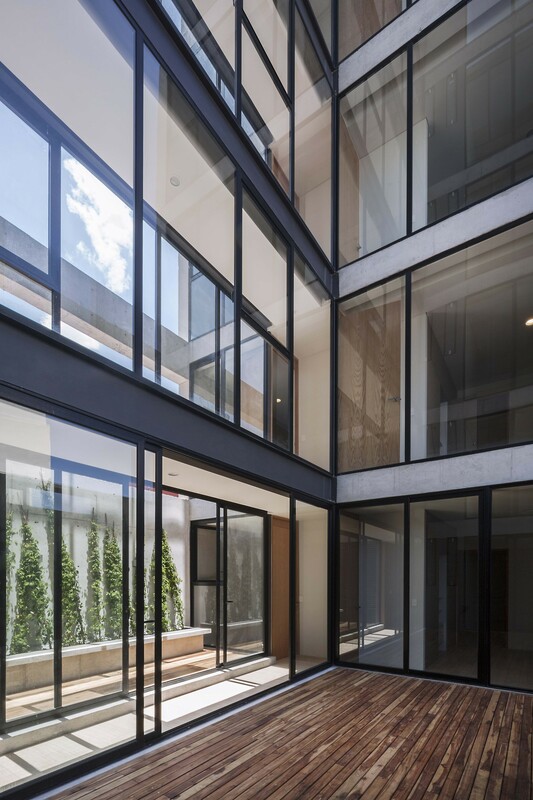 Designed by HausM2, the building was peculiarly constrained by the geometry of the site demanded an effective architectural program that could optimize those dimensions while creating enjoyable interior spaces. 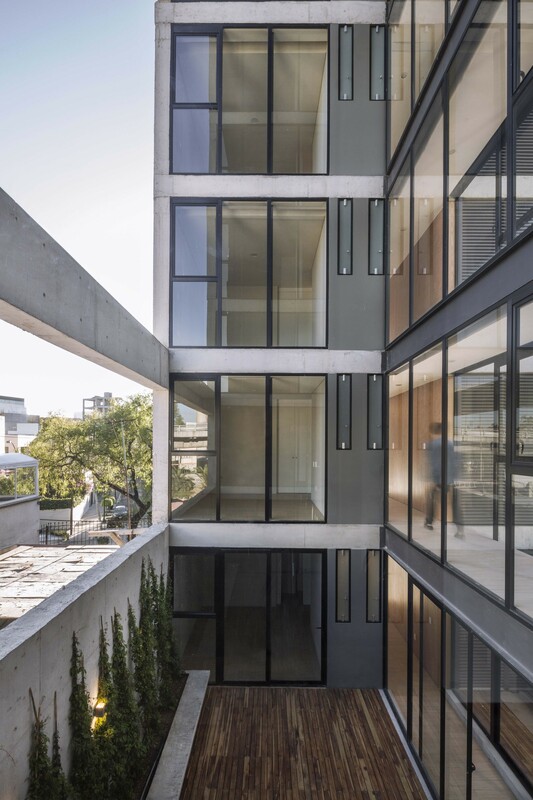 As such, the architects went with the slender nature of the site, designing the apartments with the living and dinner rooms clearly connected to a large 20 sq m terraces. 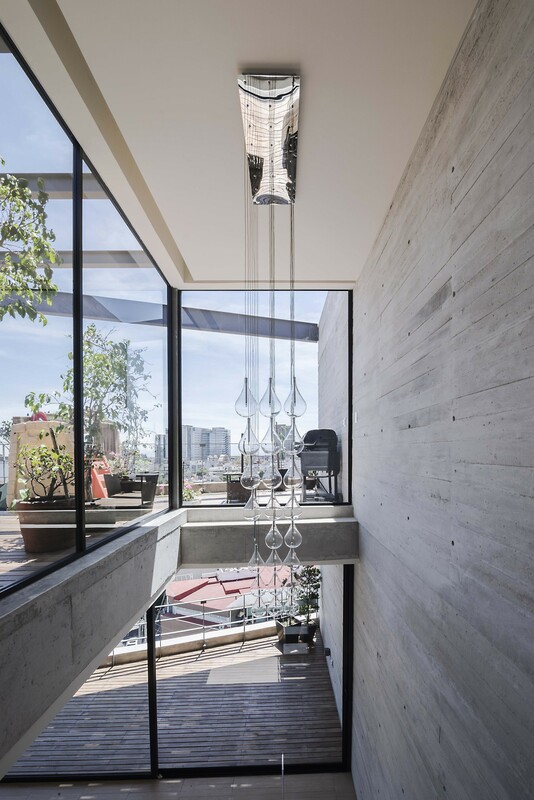 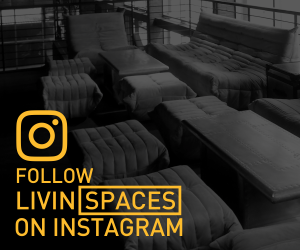 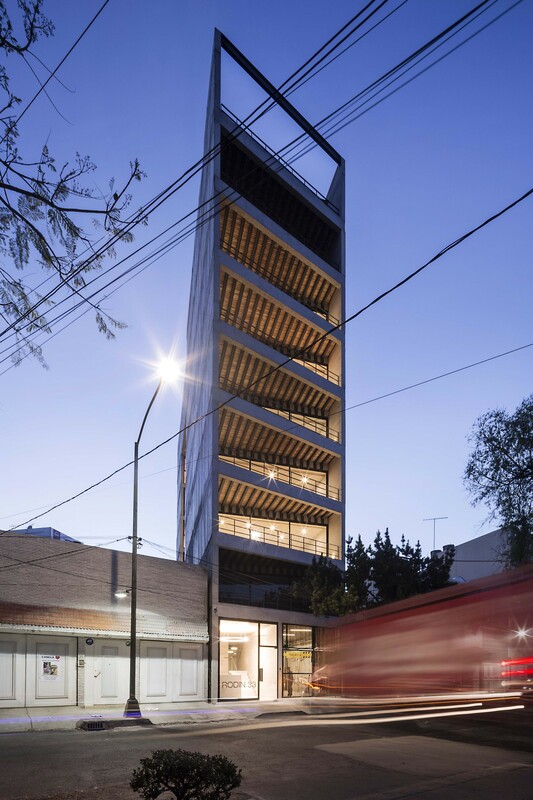 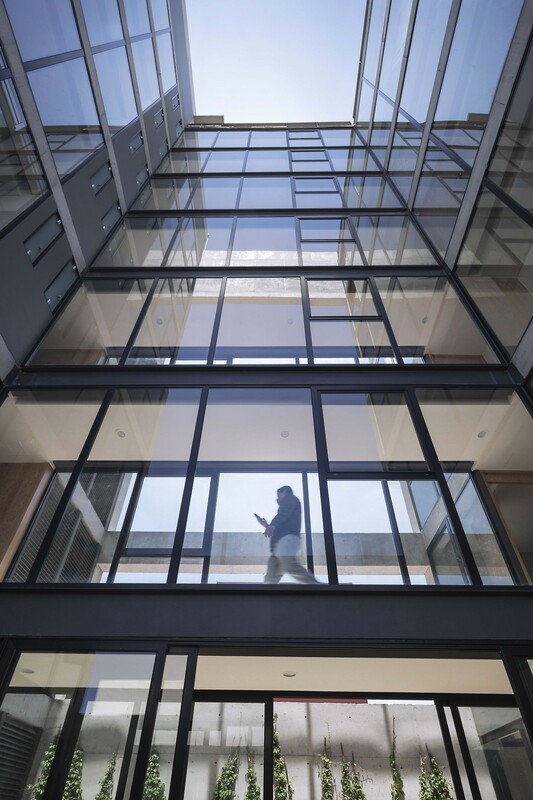 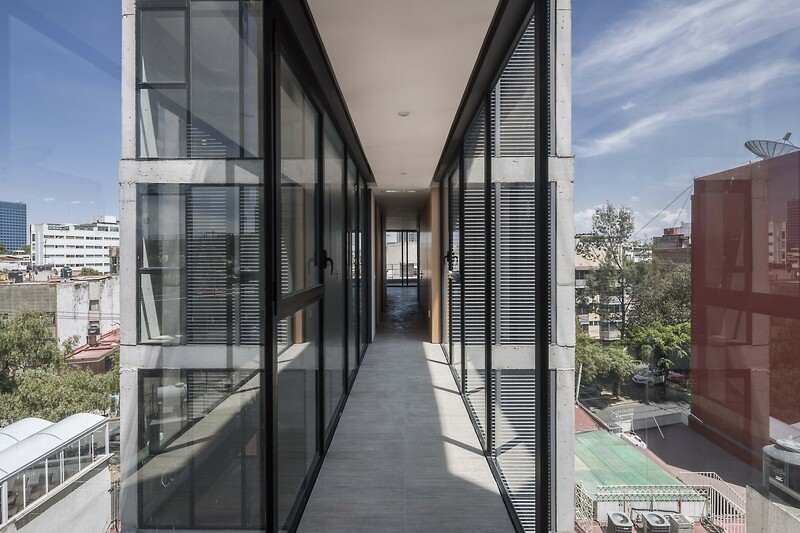 Only one apartment is placed on each floor, so the residents can enjoy views of the Mexico city skyline. 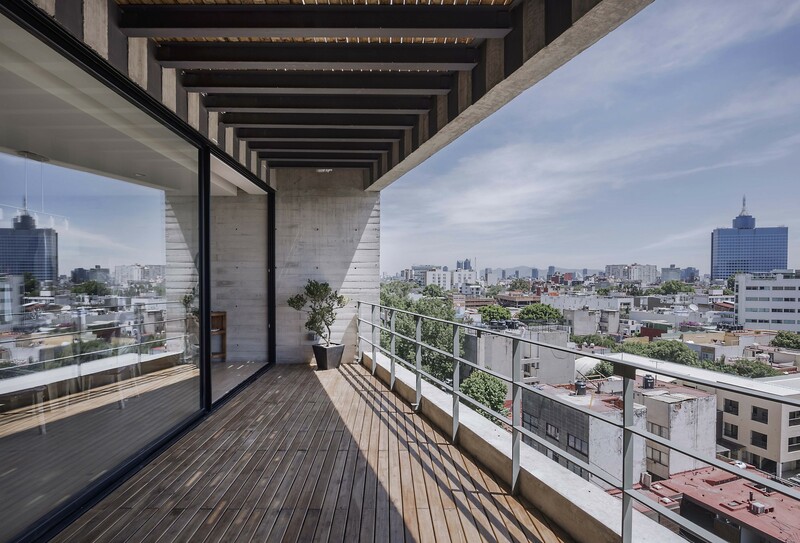 The aforementioned terraces also form the bulk of the building’s approach façade. 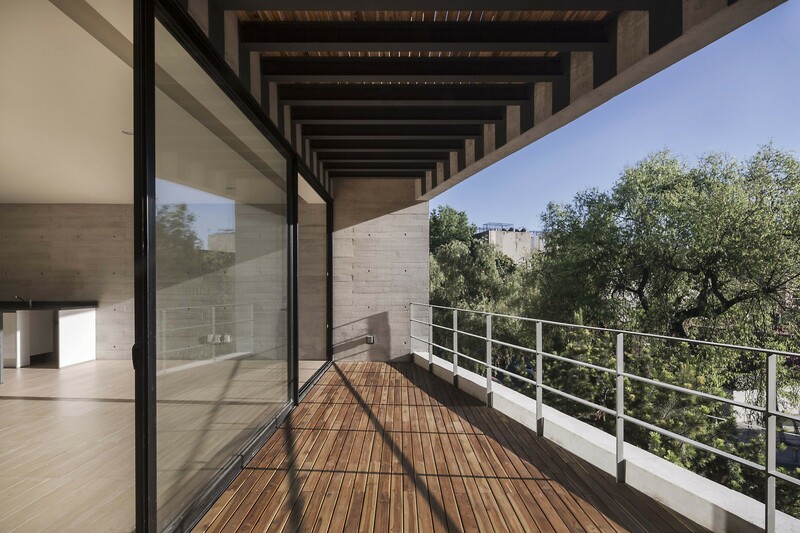 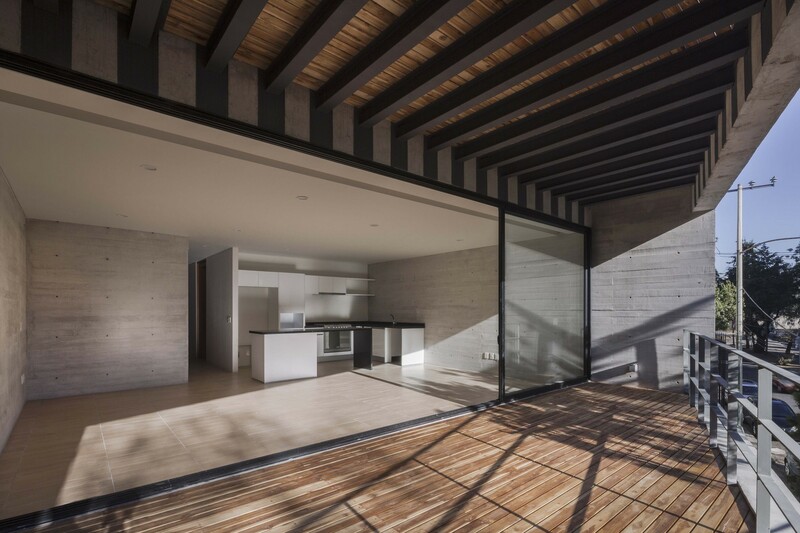 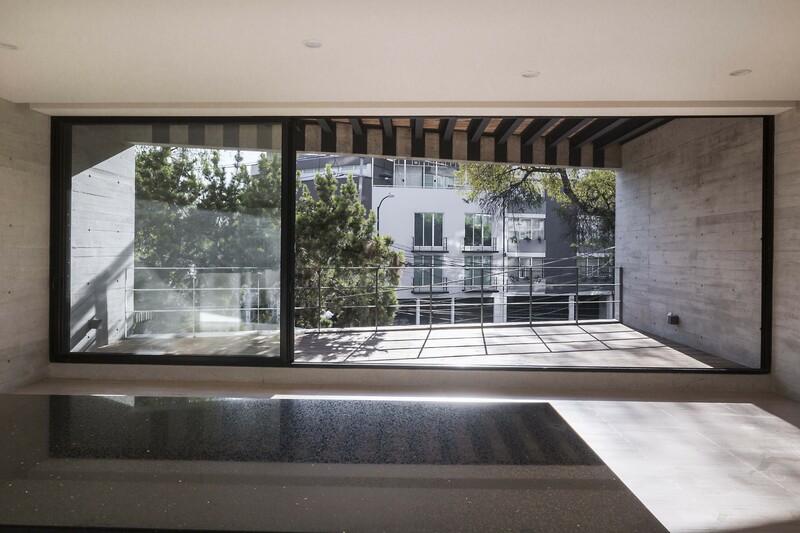 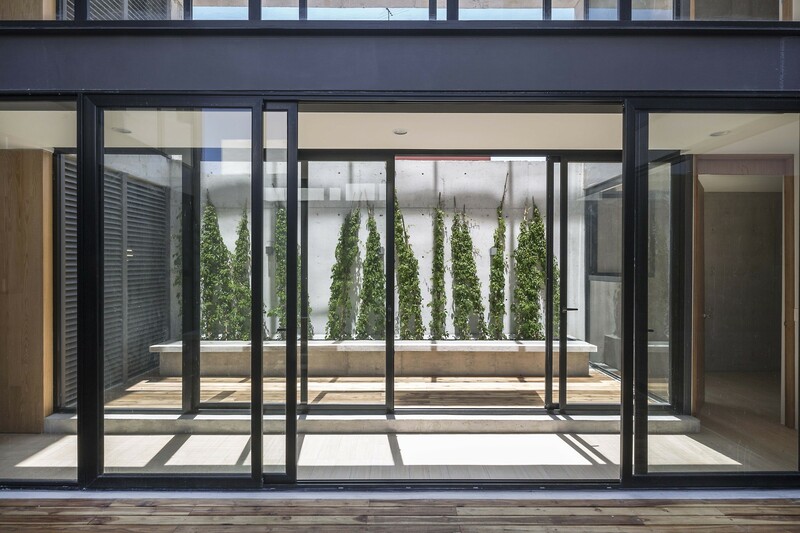 The design of the terraces is such that they offer a unique indoor-outdoor experience simply by opening up the glass sliding door, and because of their size indoor living can easily be extended outward. 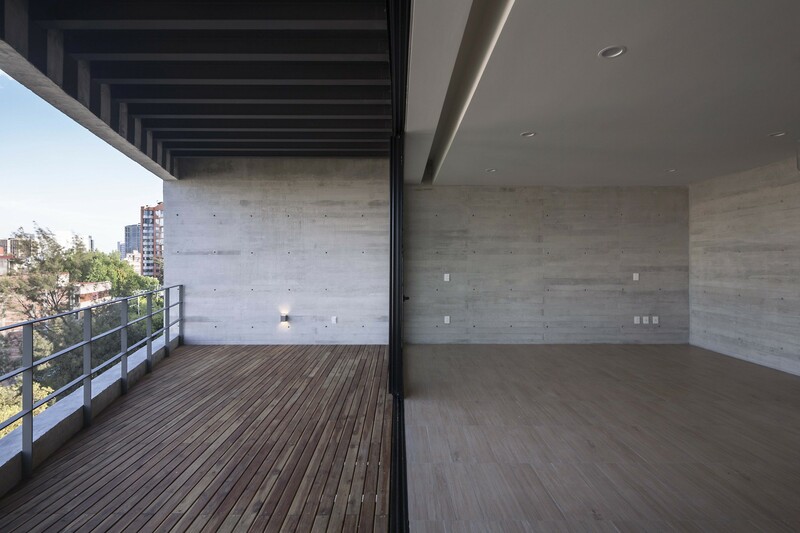 Though bound by monolithic concrete walls on two sides, the building still ensures each of apartments have ample natural light and ventilation. 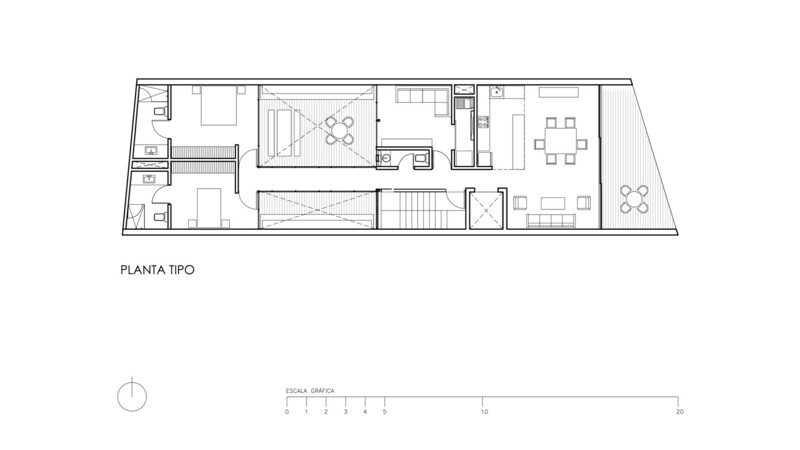 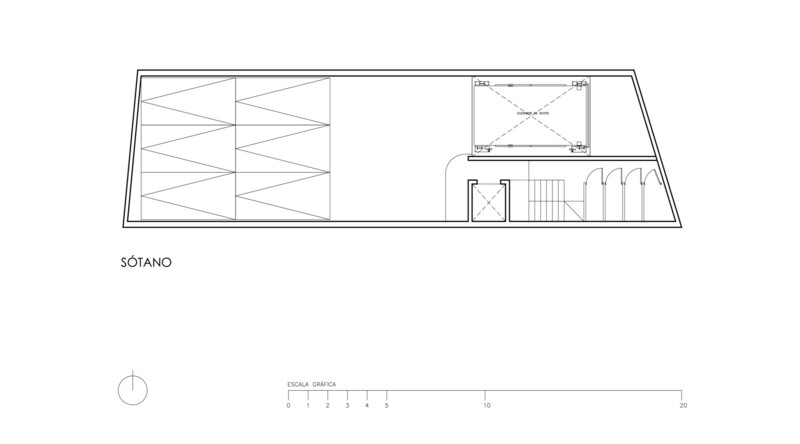 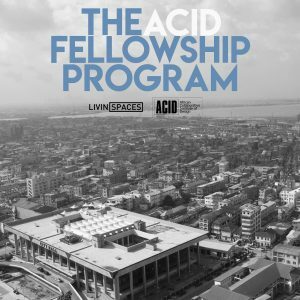 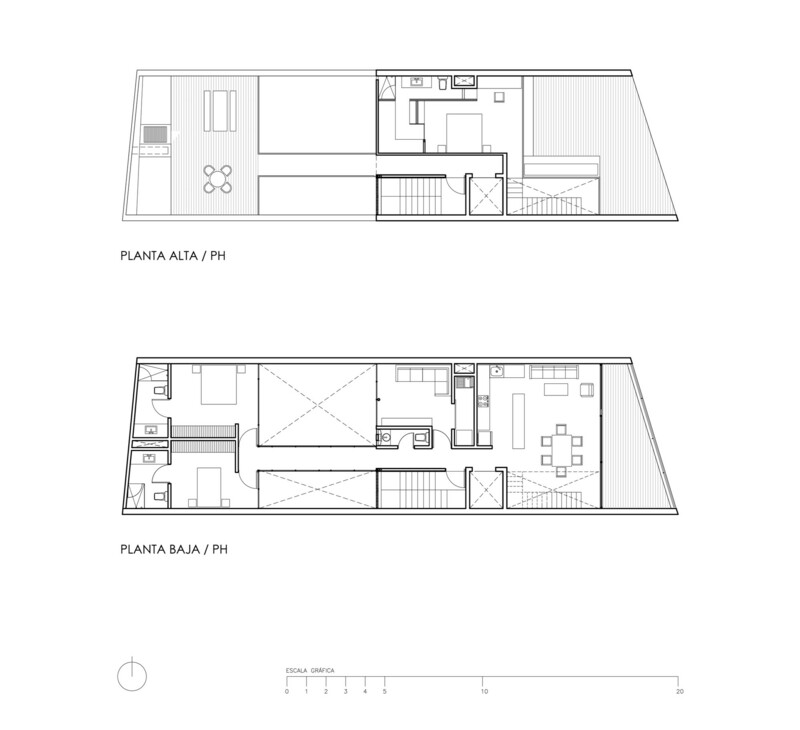 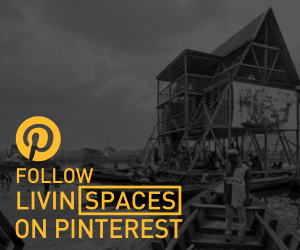 This is made possible by the interior 6m void that divides public and private spaces of the each apartment. 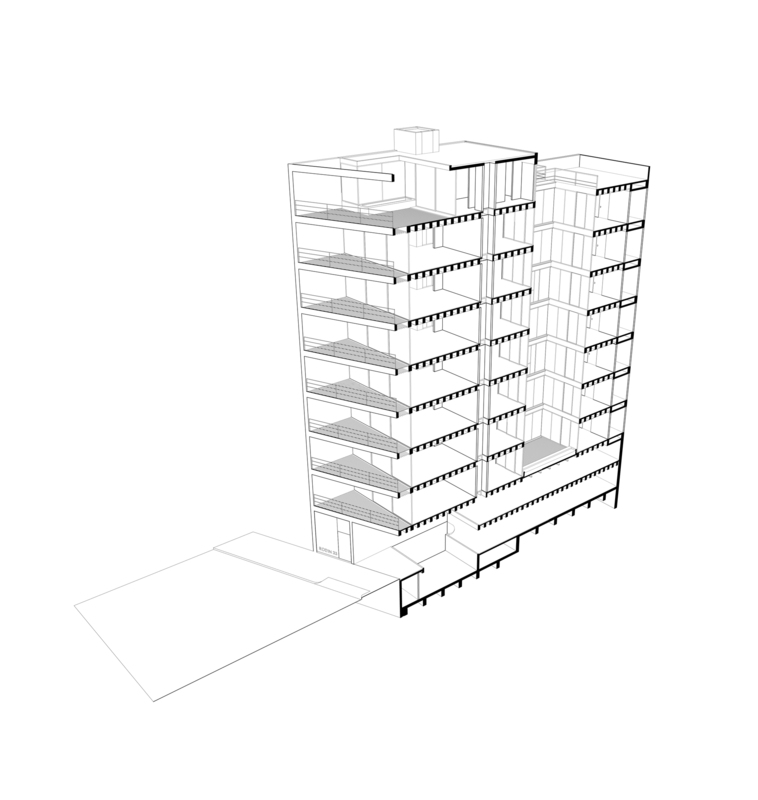 Ten 18 m piles support the 7 storey structure, along with reinforced concrete beams that define each apartment floor. 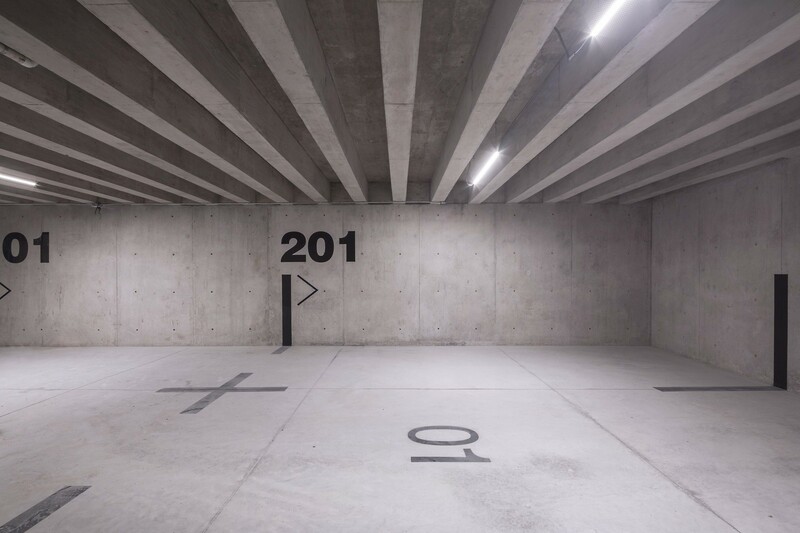 The building also boasts 2 sub levels where parking, utilities and the entrance lobby are located. 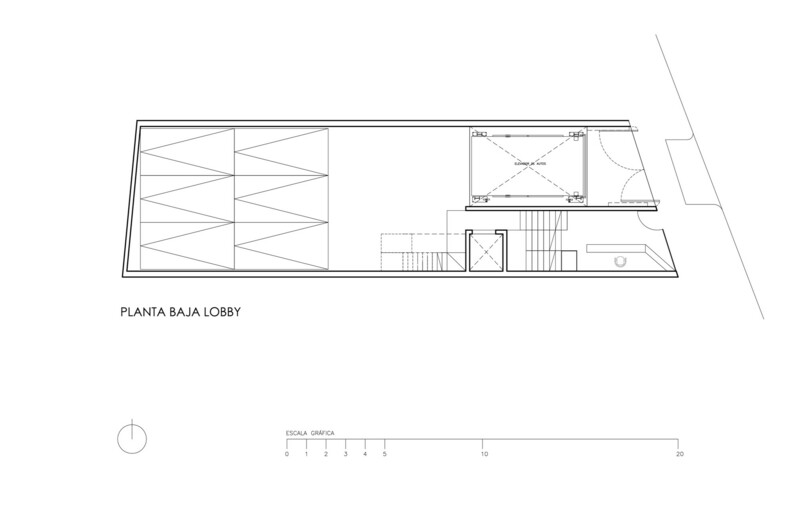 Facilities Project: Alejandra Siebel Ing. 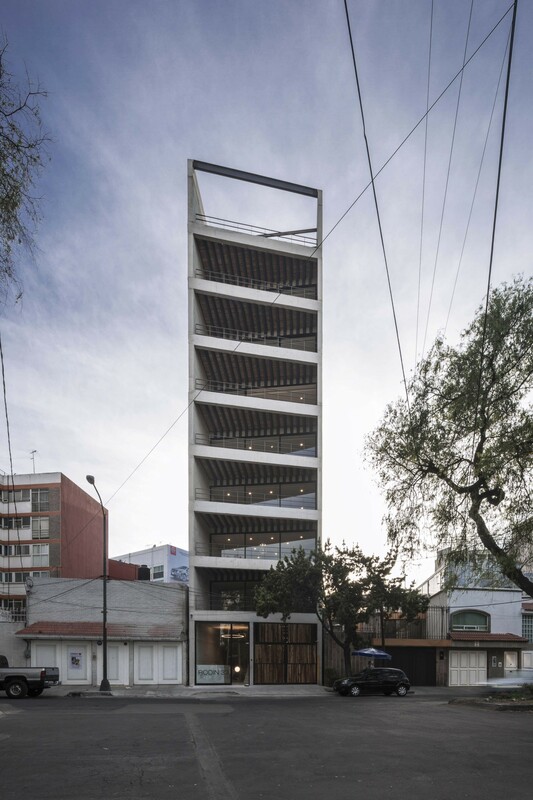 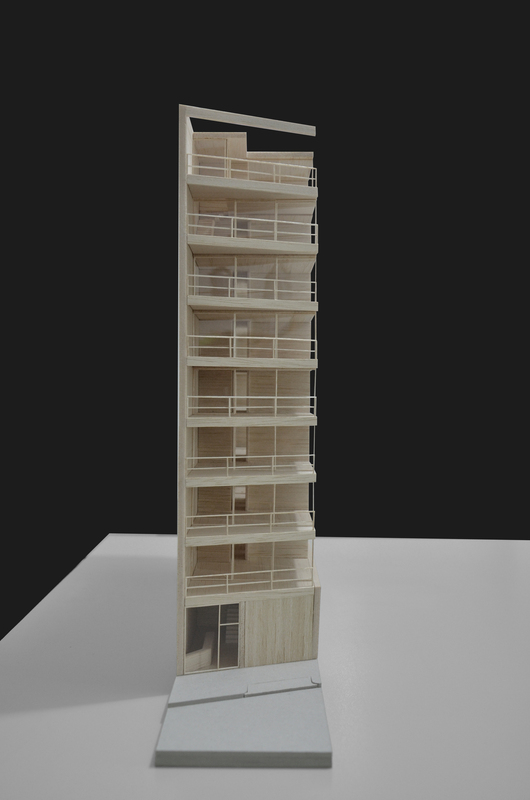 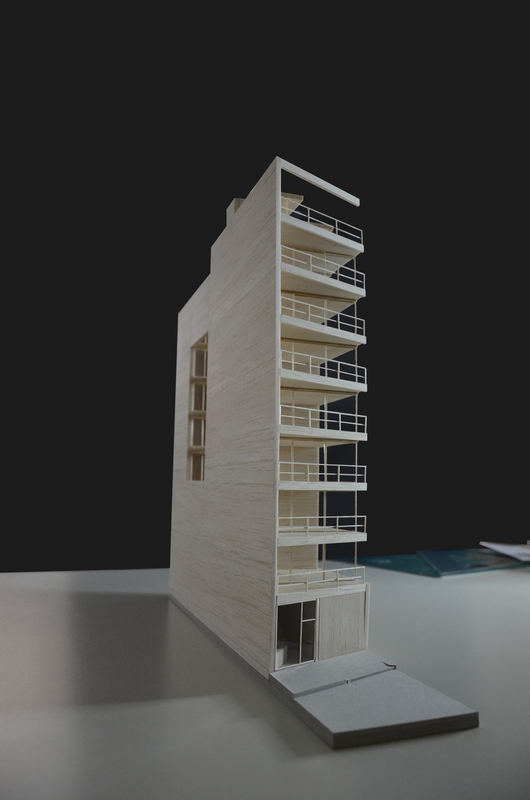 Structural project: Eng Gerson Huerta.